Want to know how to have a fricken good Friday? Head to FRIDAY NIGHT LIVE at Casino Canberra on November 30! 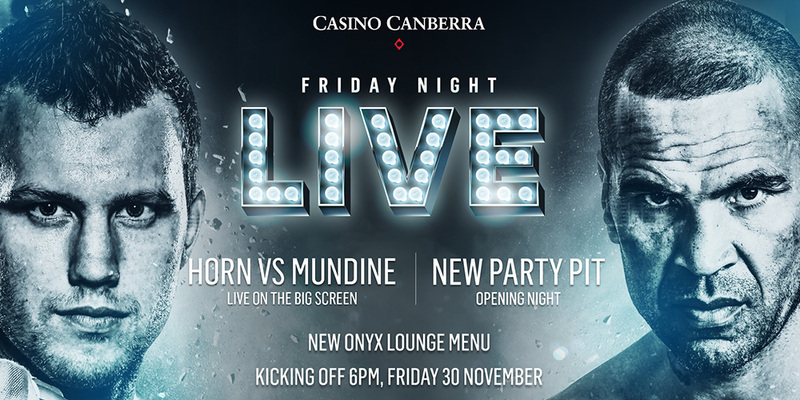 Mundine v Horn on the big screen, tasty new menu items in the Onyx Lounge and the all new Casino Canberra PARTY PIT! Kicks off at 7:30pm, but head in early to secure a seat.